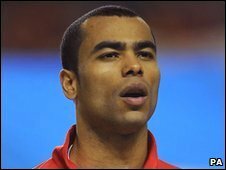 Chelsea's Ashley Cole has been banned from driving for four months after speeding at 104mph in a 50mph zone. The player, from Godalming, Surrey, was caught speeding in his Lamborghini on the A3 in Kingston, south-west London, just after midday on 17 November 2008. Cole, who claimed he was being chased by paparazzi, was also fined £1,000 after being found guilty on 4 January. Escaping the paparazzi cannot be a defence for speeding, the prosecution told Kingston Magistrates' Court. The court heard that when stopped, Cole told police he was aware it was a 50mph zone and thought he was driving at 80mph but complained about a photographer following him. Cole's lawyer Katherine Hodson had argued the player had no case to answer and claimed the speed gun might not have been operating properly. Chairwoman of the magistrates Patricia Baskerville said: "We have taken into account Mr Cole's clean licence - however this was an incident of excessive speed, over twice the speed limit on the road and these were exceptional circumstances which we need to mark." Cole, who was not in court, was warned he faces prison if caught driving while banned. Ms Hodson said he was "regrettably" unable to attend as he was travelling in preparation for a game on Saturday. Her attempt to get sentencing adjourned was rejected. A £15 victim surcharge and £300 costs were added by the panel to "reflect his income". A request that Cole be allowed 21 days to pay was greeted with laughter by magistrates, who granted it nonetheless. Cole is thought to earn a six-figure weekly salary. The player has immediately launched an appeal against the ban, which will be heard later.